There were so many reasons why I loved making this beautiful white on white 5-tiered wedding cake. The bride has impeccable taste and an eye for design. The groom is a chef at one of Vancouver's top new restaurants. And best of all, it was a display cake to be presented at the Terminal City Club which is where we celebrated our nuptials over eight years ago. My love of display cakes is no secret, giving me time to construct and decorate at my leisure, which is very intermittent and scarce these days, as well as not causing any oven/refrigerator space capacity issues. The white on white piping is so gorgeous because the play of light and shadow brings the texture alive rather than using a contrasting colour. 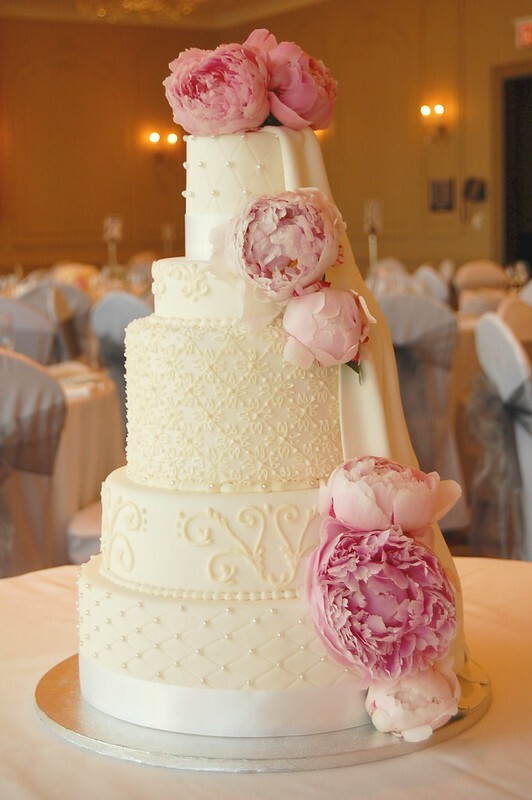 The draped fondant piece hiding behind the flowers provides an elegant detail. 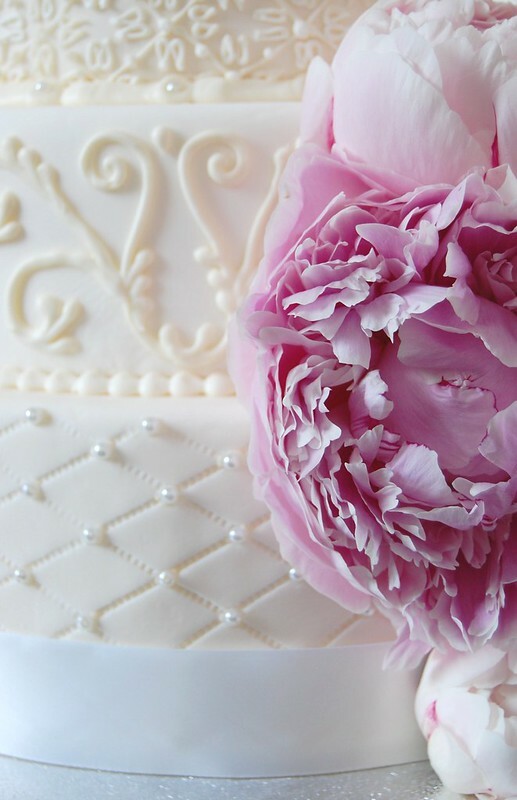 But the dramatic pink peonies (my new favourite flowers) elevate the cake to another level, bringing style and flair. Delivering the wedding cake was very sentimental as my husband and baby B accompanied me to the Terminal City Club, where 8 years ago I was set on a path which led to pediatric ophthalmology and the idea of baby B seemed faint and distant. The change in my life has been unimaginable but certainly positive. I wish the happy couple all the best for the next 8 years and beyond!